Mrs Mārīte Seile is the Latvian Minister of Education, Science, Youth, Sports. Few days before the hand over of the Presidency of the Council of the European Union to Luxemburg, it is a pleasure and an honour for EOSE that she agreed to contribute highlighting key challenges and opportunities ahead with as special focus on the work led under the Latvian Presidency. Education, Training and Employment but also Gender Equality, promotion of grassroots sports and tackling youth unemployment, these are some of the hot topics on which she offered us a priceless perspective. On the 16th of February 2015, the international conference “Sport and Physical Activity for Development of the Human Capital” took place in Riga. Being the key sport-related event of the Latvian Presidency of the Council of the European Union, the conference functioned as an instrument for implementing the European Work Plan for Sport 2014-2017. What are your overall expectations as regard to this European Work Plan for Sport? Can you please precise your vision and expectations towards one of the key topic of the Work Plan entitled “Education, training, employment and volunteering”? MS: “From my point of view, the European Union Work Plan for Sport 2014-2017 is an instrument for every Member State and the EU as a whole to make sport fairer, more sustainable and inclusive and to become an integral part of the lives of the majority of European citizens as a precondition of a healthy, active and productive life. The Work Plan is also a contribution of the sports field to the goals set by the Europe 2020 Strategy. 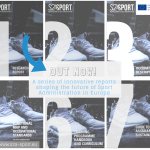 As it has been acknowledged that sport can contribute to the achievement of the objectives of the Europe 2020 Strategy for smart, sustainable and inclusive growth, namely equip people with additional skills and competences, as well as serve as an instrument for social cohesion and inclusion. How would you describe the role of sport within the Latvian society and what are the main reasons to explain the decision of your country to organise such event related to sport under its Presidency of the Council? MS: “At the end of 2013, new policy guidelines in sport where approved in Latvia with the leading motive – sport for the quality of life. Sport policy in Latvia focuses on four main directions – children and youth sports, high achievement or elite sports, sports for all, and sports for people with disabilities. These areas of activity reflect our priorities, aims, the importance and the role of sport in our society. Knowing the common tendencies around Europe, we are striving to create opportunities for children and youth to engage more in physical activities, especially by providing more mandatory physical education at all educational institutions. Promotion of the development of higher mastery of young athletes by engaging in professional sports training programmes at sports schools, sports clubs, sports gymnasiums and other sports organisations is also our point of focus. We support preparation of talented athletes and national teams and their participation at the Olympic Games, as well as at the world and European championships. Besides professional sport, we see the importance of making sport available for everyone, to create opportunities for each individual to engage in sports, regardless of their age, gender, ethnicity, race, religion, mental or physical abilities. Unfortunately, physical activity rates are not significantly high, neither in Latvia nor in Europe at large. In Latvia, our aim is mass participation in sport at least once or twice a week by 2020, and we see grassroots sport as an essential tool to achieve this aim. During the last years, the number of grassroots sports events in Latvia has grown and no doubt is gathering quite significant number of participants. However, we still have a lot of work as we strive to elevate the physical activities rates, to increase the quantity of people doing sports regularly and to educate the society about sport as a foundation for a healthy and harmonious life. For which main achievements would you like the Latvian Presidency to be remembered as regard to its contribution to the overall sport policy? MS: “Although the semester for each Presidency sometimes is too short to make remarkable achievements, I would like to highlight the awareness rising at large. This is what we sometimes miss. We were very pleased by hosting the conference Sport and Physical Activity for Development of the Human Capital. 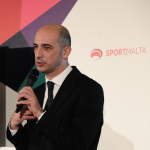 The conference raised more discussions on sport’s multifaceted nature. 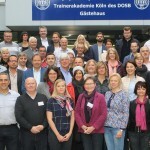 By reaching the agreement among all the EU Member States, the Council Conclusions on maximising the role of grassroots sport in developing transversal skills, especially among young people where adopted at the Education, Youth, Culture and Sport Council on 18-19 May 2015. Conclusions call to raise awareness and visibility of the value of transversal skills gained through non-formal and informal learning via grassroots sport among young people. These “soft skills” as cooperation, communication, respect for rules, problem solving, understanding, networking with others and leadership are one of the instruments for promoting social cohesion and inclusion. 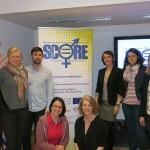 Promotion of grassroots sport and its benefits in scope of education, employability and health is a step towards the goals set by the Europe 2020 Strategy. As a contribution to the overall sport policy I would like to also mention the fruitful debate on anti-doping issues during the meeting of EU Sports Directors on February 17. Since the entry into force of the new World Anti-doping Code of 2015 adoption of national legislation to the Code is a new challenge for governments and National Anti-doping Organizations. In addition, during this meeting an item on how the non-traditional sport can be diversified and play an important role in attracting young people in sport was discussed. Here we specifically highlighted the role of street sports and its untapped potential with regard to attracting more young people to exercising more often and becoming more physically fit and healthy. Street sports is a culture bringing together urban life with the philosophy of a physically active lifestyle. The development of street sports makes an impact on city planning (an environment suitable for leisure activities), promotes social inclusion (opportunity for everyone to take part) and revitalizes remote city districts. The most well-known street sports are street ball, street football, parkour, skateboarding, BMX Freestyle and street workout. 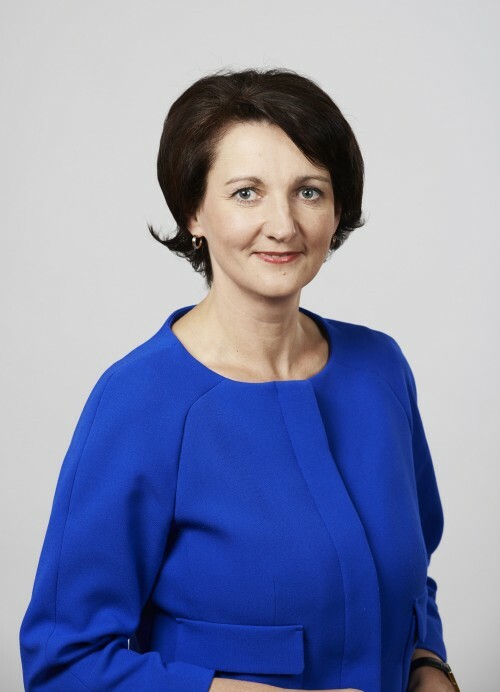 On the 10th of March 2015, you have been representing the Latvian Presidency of the Council of the European Union at the annual Session of the UN Commission on the Status of Women in New York. The session addressed the challenges affecting progress in gender equality and the empowerment of women, and reviewed the tasks required to achieve comprehensive gender equality by 2030. In your opinion, which role sport could play in this direction and what remain to be done to tackle such challenge? MS: “Equality of men and women is one of the fundamental non-discrimination principles. Not being discriminated on the grounds of the gender is one of the fundamental human rights in every field. The Convention on the Elimination of All Forms of Discriminations against Women in its article 10 (g) states that women have the same rights for equal opportunities to participate actively in sports and physical education. 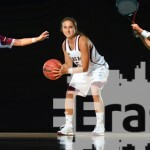 Non-discrimination in sports is also one of the fundamental principles of the Latvian sports policy, as everyone has the right to engage in sports activities regardless of their age, ethnicity, race, religion, mental or physical abilities and gender. Sport is the area where individuals can demonstrate their capabilities regardless the gender, an area accessible to everyone to benefit by the sports activities in all levels. Sport is serving already as an inclusive and integrating element to unite the society. The European Parliament recently set sport the challenge to demonstrate the impact it can have on young people. What do you expect from the sport and active leisure sector when thinking of the number 1 priority for the EU which is to tackle youth unemployment? To what extend do you think that sport can contribute to the strategic objectives of EU2020? According to you, what can the sector do to better demonstrate its impact? MS: “Sport should be viewed as an integral part of wellbeing and the way to boost the potential of abilities through promoting a harmonious and well-balanced life. No doubt, our youth is the future of Europe, which is why we must take care to provide a harmonious development of young people and make all efforts to equip them with necessary skills for life. Last but not least, “Developing the Human Capital” was at the heart of the conference we here above mentioned, hence highlighting the importance of Human Resources in sport. This is something we, at EOSE, are advocating for many years now. To what extend do you consider it crucial for the sport and active leisure sector to have a workforce equipped with the right skills and competences and to adopt a promising and relevant approach to workforce development for both staff and volunteers? What would you recommend as short term priorities to achieve such ambition? MS: “First and foremost, I would like to express my appreciation for the job done by EOSE so far. Being an active stakeholder in this field is a precondition for reaching our common goals. From my perspective as a Minister for sport, the main short-term objective should be creating opportunities for people to engage in sports according to one’s interests driven by an understanding of the positive role of sports regarding overall wellbeing. I am quite sure that opportunities is what lead people to the results.